The latest release on Stellar Fountain finds Andy Weed returning for a brand new single. The Hungarian born, Scotland based artist has become a staple of label’s roster over the years. 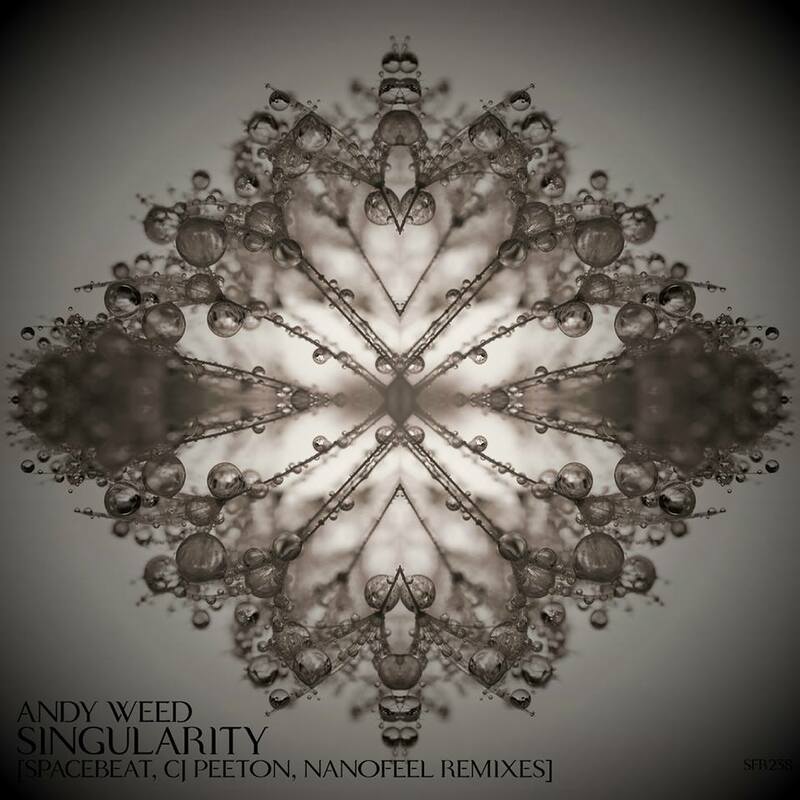 Now following a remix of Fiddler’s ‘The Middle of the City’ Andy returns to Stellar Fountain for his latest studio offering entitled ‘Singularity’, alongside remixes from Spacebeat, CJ Peeton and Nanofeel. Andy has wavered back and forth stylistically over the course of his career with the primary focus being progressive house. An alternative outlet for the Hungarian has been breakbeats and we get one of his all time best in ‘Singularity’. As the first act gets underway, tightly wound beats, clattering drums and a spacey storyboard immediately grabs your attention. Sparse melodic accents add a bright tone before the main break works two quirky lines to great effect, setting up an impactful drop. Although the whole breakbeat genre (progressive or otherwise) has really taken a backseat over the last 12 years (roughly) it’s great to see label’s like Stellar Fountain still showcasing the sound and Andy has delivered a wonderful track here. Productions from Spacebeat have been less frequent in recent years so his appearance here is all the more welcome. Perhaps best known for an amazing bootleg of the ‘The Age of Love’ here Spacebeat brings his unique sound to ‘Singularity’, taking the track into atmospheric techno territory. The stellar designs from the original get an overhaul for a wonderfully tripped out vibe all backed by a tough, driving groove. The atmospheric tension is apparent from the first minute but a luminous break not only brings a lovely emotion but transports you out of that frame of mind into something much more meditative. Gorgeous remix from Spacebeat. Next up Stellar Fountain artist CJ Peeton returns for his 29th appearance. Much like Spacebeat, the Hungarian born artist also takes the 4/4 route but with a deeper, more laid back sensibility. The effortless flow is ultimately it’s strong suit as long trails and shifting atmospheres paint a gorgeous sonic picture, which is just a touch cinematic as well. Beautiful remix from CJ. The release concludes with Nanofeel making his first appearance on the label. The Hungarian artist previously appeared on the label’s Deep division with a contribution to the Stellar Deep 2015 December Sampler. Aptly titled ‘Black Hole’ his ‘Singularity’ interpretation begins with a dark tone as razor sharp stabs rip through the atmosphere. The vocal sample carries a large presence and as act one progresses the mood shifts into one of playful melodies. It’s a great contrast to the darker underbelly and a timely break in conjunction with a stripped re-entry keeps things cool and spacious. A great remix from Nanofeel to close out another top notch offering from Stellar Fountain. It was a great 2016 for the Hungarian crew but I suspect 2017 is going to be even better.